Are you searching builders hardware and tools near me? 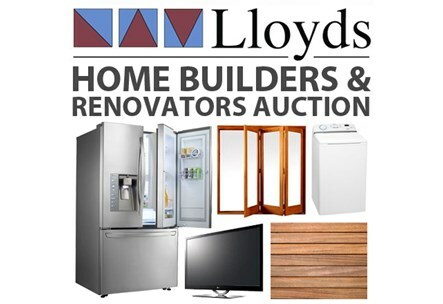 If you live in south east Queensland, you may want to visit the Lloyds auction house in Carrara – only a short drive from Brisbane – or bid online for deals on cheap building supplies. 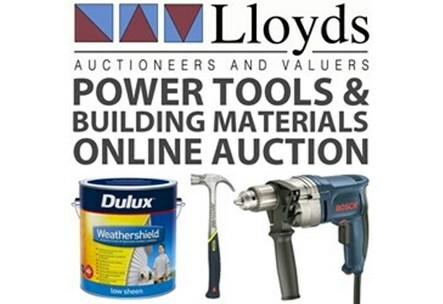 Lloyds Auctions are connected to large segments of local industrial enterprise – therefore placed in the prime position to offer a wide range of hardware and tools for auction to the wider public. Our hardware and tools are perfect for builders & tradies, or to assist with some home renovation. Our online builders auctions are so easy and simple to use. If you are looking to fill up your tool bag you can find what you need at Lloyds Auctions. You can buy hardware and tools from our online auctions – it makes things so quick and easy. Are you a hands-on person, don’t mind a bit of hard yakka? We have all the hardware you could need to get that project finished. It might be some cheap decking timber to finally fix the deck so that the wife will stop nagging. You could just be browsing new building materials for sale. Or, it may be some bamboo screening to build a fence so that you don’t have to see the neighbours so much anymore! You don’t know what you might find when looking to buy building supplies online – and at a great price – here at Lloyds Auctions. You can skip that trip to your local hardware store and bid online. It’s so quick and easy. Just think of all that spare time you’ll have on the weekend – time that can be so much better spent on things like the beach, fishing or maybe just plain old chilling on the couch. We regularly source cheap power tools, hand tools, tool storage and much more. Some of our regular items include power tool combo kits and accessories, cordless tools, drills and drill bits, saw and saw blades, sockets and accessories, tool stands and batteries and chargers. We have power tools online for sale for a wide range of industry needs. So, whether you are a tradesman, mechanic or work in the mining industry, our tool auctions have the right tool for the job in Australia.